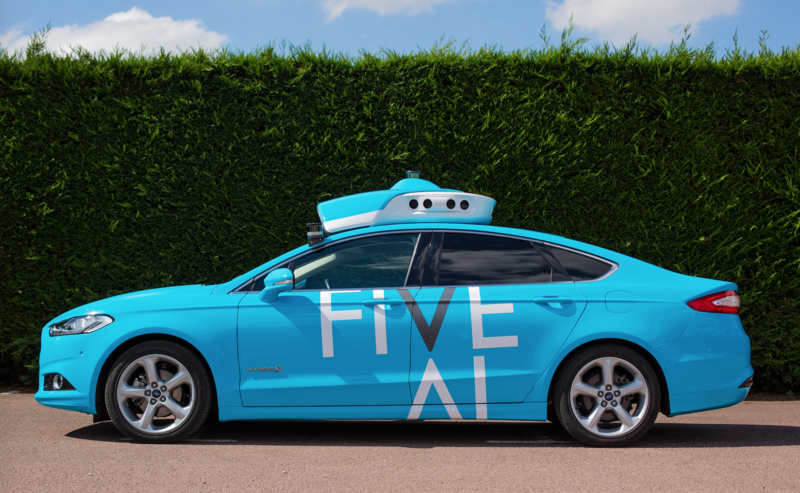 FiveAI is a European leader developing software for self-driving vehicles. We’re a fast-growing team across six offices unified by our goal to use the power of autonomy to transform Europe’s cities. For everyone. We’re solving interesting and challenging problems to service millions of people daily. With experienced founders, world-class scientists and professor supervision, our team is accelerating advanced research learning and applying in the real world. Having recently secured significant funding, we’re looking for a driven and versatile Engineer. You’ll join our diverse fast growing team, and because the vehicle platform is where the code hits the road, have interactions with a range of backgrounds in AI, robotics, machine learning, computer vision, platform development, testing and verification across six sites. The Vehicle Platforms team deliver our roadmap of vehicle platform updates that ensure continuous improvement of our R&D fleet, get us to suitable vehicles for services launch and beyond. We develop relationships with vehicle OEMs & Tier 1 vendors to provide us with vehicle platforms & AV compliant sub-systems to our configuration/specification and we manage the integration of the two with our AV hardware and sensors. This is a real chance to be integral in the development of our self-driving future. You’ll deliver mechanical (using SolidWorks), high voltage architecture and electrical designs and upgrades for our fleet. Show technical leadership eliciting user/product needs. Capture, review and manage internal customer requirements and negotiate agreements on technical specification with suppliers. Own testing and integration of vehicle systems, then work closely with our technician team to build and maintain our vehicle fleet. Interact across the business to understand internal architecture inputs/constraints and lead vehicle platform functional safety. Capture the system architecture, both model and document based, to develop and assist with FMEAs. Youll show strong flexibility as a team player and individual contributor. Minimum Bachelors Engineering Degree, or equivalent. 7+ years of relevant systems engineering experience in the automotive, professional motorsport, robotics, experimental aircraft or closely related industry. Expertise in architecture modelling and requirements management. System hardware and software knowledge through work experience. Experienced building and managing requirements for production functional safety as well as rapid prototyping for use in controlled environments. Exceptional interpersonal, communications and listening skills. Strong problem solver with an analytical mindset. Commitment to excellence, an eye for detail and conviction to follow through. A strong communicator with amazing problem-solving skills, the ability to work with a variety of individuals with integrity, discretion and sensitivity across all levels of the company. FiveAI is committed to Equal Employment Opportunity through attracting and retaining a complementary team of employees and building an inclusive environment for all.